The all-new 2018 Nissan Pathfinder at Nissan South in Morrow, Georgia looks stunning from every angle, while the signature character lines flow low on the body of the vehicle, providing a spacious and comfortable interior filled with light. The spoliers and deflectors are strategically located to help improve Nissan Pathfinder’s aerodynamic profile and performance – an athletic statement you’ll also apprectiate when it comes to fuel efficiency. Come check them out or give us a call today at Nissan South in Morrow, Georgia! You’d be hard pressed to find another SUV in this class that offers the options of 2WD, 4WD, and Auto Modes like the all-new 2018 Pathfinder at Nissan South does. Change the All-Mode 4×4 dial located just behind the gearshift to lock into 4WD when navigating treacherous Georgia terrain or when less than ideal weather conditions are prevalent. Turn it again to switch into Pathfinder 2WD for improved mileage and efficiency. Auto Mode constantly monitors conditions and adjusts the balance of power between front and rear wheels for best traction. 4WD Lock Mode is your choice for the most challenging conditions. The all-new 2018 Nissan Pathfinder offers dynamic performance at every turn. Powered by an impressive 3.5-L V6 engine with 284 horsepower, you can feel confident cruising the highway and towing large watercraft. Smart power ensures quick acceleration, while delivering impressive fuel economy for the long trips that lie ahead. Whatever drivers in Morrow, Georgia ask from their 2018 Nissan Pathfinder at Nissan South, the powerful engine provides it effortlessly. Nissan Pathfinder offers drivers in Morrow an impressive amount of room, with an even more impressive view. The available Dual Panel Panoramic Moonroof stretches all the way over three rows of seats, offering everyone inside a breathtaking view of the Georgia night sky. Whether you’re navigating the busy streets of Morrow or just cruising the highways of Georgia, the all-new 2018 Pathfinder provides a front-row seat for you to take in all of the sights. After filling up your new 2018 Nissan Pathfinder with up to seven passengers, there’s still plenty of room for additional cargo. The second row slides over five inches for stretch-out room and the third row reclines for added comfort. Pathfinder models also feature a large under-floor storage area that allows you to keep valuables hidden out of sight, but can still be easily accessed whether the 3rd-row happens to be folded or upright. 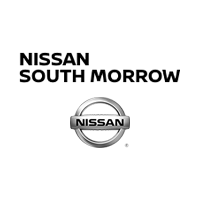 Nissan South in Morrow assists customers from Atlanta, Morrow, Riverdale, Jonesboro, Lake City, Forest Park, and all of the surrounding communities, helping them find the new 2018 Pathfinder that suits them perfectly. We take pride in the professional level of customer service that our dealership known for, and we do our best to make sure that each person that walks through our doors leaves satisfied. When you’re ready to purchase your new 2018 Nissan Pathfinder, come by 6889 Jonesboro Rd. in Morrow, Georgia and let one of our friendly salespeople go over all of the purchasing options currently available to you.